Will you draw with stunning lady Valeriya? Hello everyone:) My name is Anna, my hobby is drawing, I like the style, still life and landscape. In my spare time I read books, walk in the parks, play sports. I love cooking. Evenings I spend in a quiet family setting, learn Tantra, and try to lead a healthy lifestyle. I wish everybody to find a soul mate and the purest love. Sincerely, Valeria! Comments Off on Will you draw with stunning lady Valeriya? They use the traditional, but rare in Ukraine, “South American” cutting of beef carcasses, thanks to which you can enjoy “classic” dishes on the grill: Fillet-mignon, Club-steak, Porterhouse and Thibone. Here will be kindly shown and recommended steaks before preparation, will help to choose a roast. 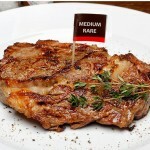 Even if you are a true connoisseur of meat, you will still be surprised. All meat masterpieces are prepared “from under the knife”. Each steak is filigree cut out manually and correctly stored. » Read more..
Adorable Gymnast Kristina is Looking for her Love! Comments Off on Adorable Gymnast Kristina is Looking for her Love! How to start a new relationship after breakup? When some relationships ends painfully, it is very difficult to believe in love and open yourself to new person. But it needs to be done to live fully life again. » Read more.. Comments Off on How to start a new relationship after breakup? Hi! I am Yuliya and i like to draw!!! I can be your cute teacher) I am very jolly and active beautiful woman! I like nature. But sometimes you will also see me at home writing poems or drawing! I am very creative person! I also love singing! So you will hear me from your shower every morning! :))) » Read more..
Men and women often have conflicts in their relationships. But the level of stability and reliability of their relationship depends on the ability and skills to resolve conflicts. Conflict, like anger, is unavoidable, arising from human nature. It inevitably occurs whenever we come into close contact with other person. Lovers, family couples and their children, friends, work colleagues, members of governments – all are familiar with how the opposite views can alienate people and what kind of pain they can bring. Open the world of dance with adorable Ekaterina! Good day! My name is Ekaterina and dance is a life for me. I cannot imagine myself without it. Every movement, swing, turn, makes the world brighter. Comments Off on Open the world of dance with adorable Ekaterina! Are you curious about your future? What is waiting for you on this week? Step2Love helps you to peek out into your future! Our Weekly Love Horoscope will answer on your questions!